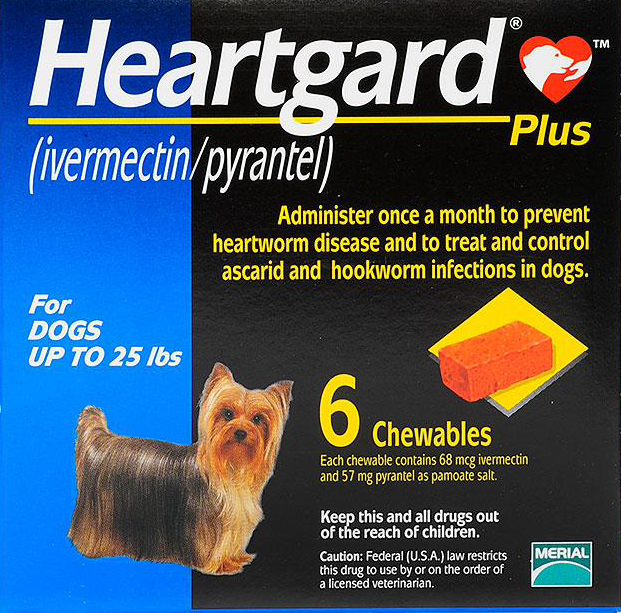 Heartgard Plus Chewables for dogs treat and keep your dog safe from heartworms, roundworms and hookworms. These delicious (to dogs!) beef-flavored tablets should be given to your pet every 30 days. 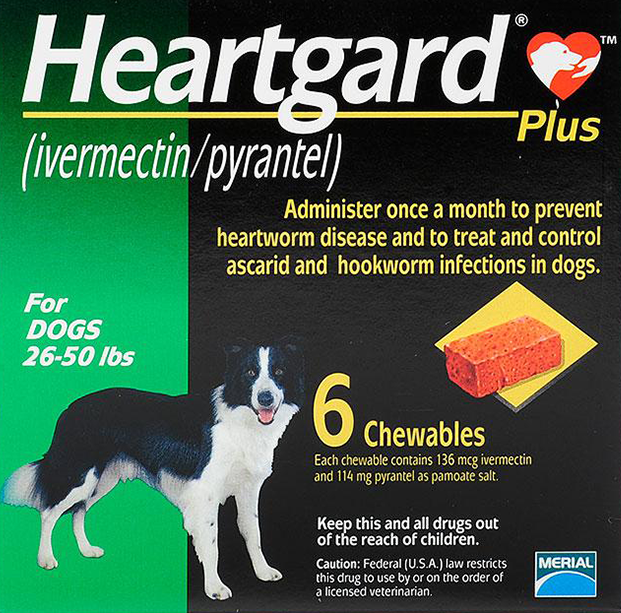 Dogs six weeks and older can take Heartgard Plus Chewables, with a prescription from your vet. Safe, healthy and effective. Approved by the EPA & FDA. 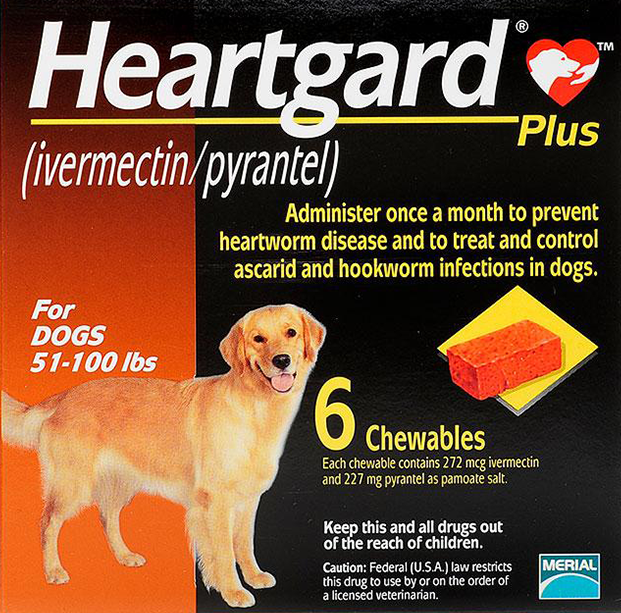 Give your dog Heartgard Plus Chewables with or without food. The tablet should be chewed before swallowing — break the tablet into smaller pieces and hand feed as necessary. Make sure your dog consumes the entire tablet. To prevent heartworms, give once at the beginning of each month after your dog’s first exposure to mosquitoes. Give your dog this medication only as directed by your veterinarian.